PHILADELPHIA -- An African lion believed to be the oldest held in an American zoo has been euthanized. The Philadelphia Zoo says its 25-year-old big cat named Zenda recently experienced a severe decline in mobility and behavior. She was euthanized Thursday. Zoo officials say Zenda was a popular and much-loved animal. 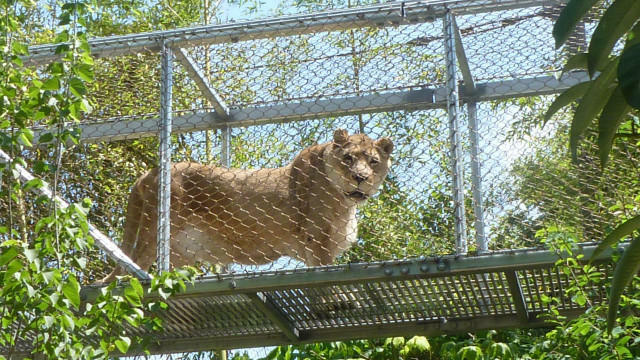 In announcing her death Friday, the zoo noted that lions in zoos typically live about 17 years. Zenda was born at the Johannesburg Zoo in South Africa in 1991. She arrived in Philadelphia two years later, along with three other lions. The pride relocated temporarily to the Columbus Zoo in 2004, returning to Philadelphia for the opening of the Big Cat Falls exhibit in 2006. The Philadelphia Zoo has six other African lions.